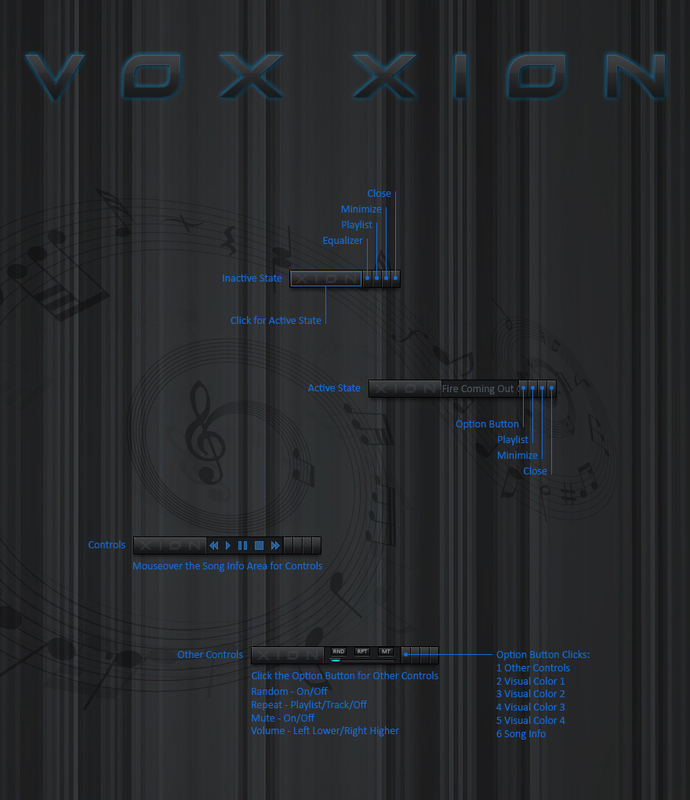 You must have the latest Xion Beta (1.21)to use this skin properly. Permission included in the .xsf file. Superb skin man .. nice touch with the vis color options. ... any chance you'll be releasing the version from your OD ss as well? any chance you'll be releasing the version from your OD ss as well? This is a very clever little xion man, took me a bit to understand, but after readin screeny, really like it.... nice lil surprise to top the suite off.... Awesome. You know me. I like to keep my xions small but still have the major functions. I'm very pleased with how this one turned out and I learned a lot in the process.